His name is Thibodeaux*, and he spends most of his weekdays with us at the Free Market, enjoying the simple pleasures of a couch, a cup of coffee, and sometimes conversation. But more often than not, what comes out of his mouth is not conversation, but a laugh. He doesn't tell jokes and doesn't hear many of them, at least not that we see around here, but he laughs anyway. In the middle of silence or while people are talking, he bursts out for just a moment with a smile and and a laugh that he can't suppress. 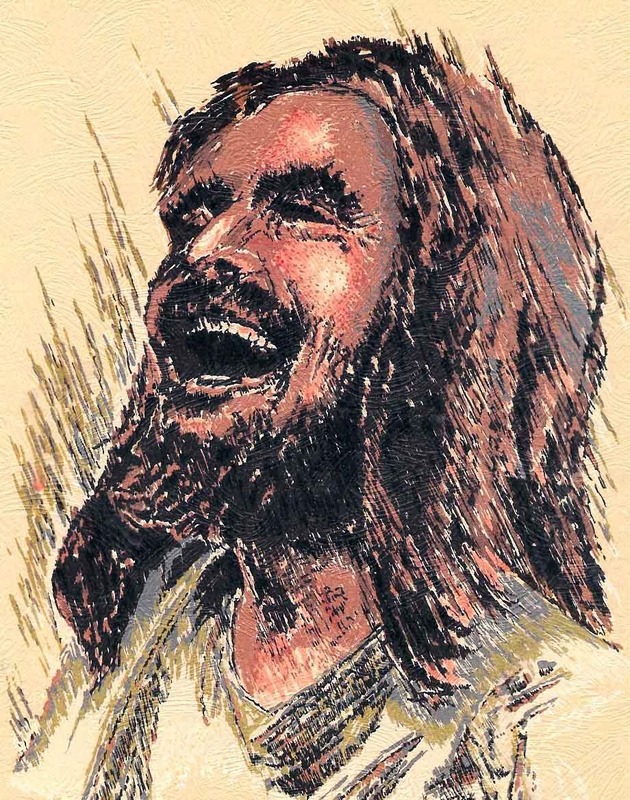 If there is something in particular that he is laughing at, it's a secret. God only knows what sense this makes, because it's never been clear to me. Thibodeaux has watched us go through some changes over the last few weeks. Going forward, we are operating the Free Market from the back alley door of the hub. It took all of our team a couple days to reverse our whole operation so that what was our back alley exit is now our front door. We have had to change how we do some of what we offer, and in some cases we have had to stop offering certain services altogether. It's a far from ideal situation, and to be honest it has hurt to hear ourselves telling our guests to come in through the back door. A few folks have let us know how it feels to be told to use the back door, and it isn't exactly dignifying. We've also heard encouragement and gratitude from our guests as they realize the situation and bear the changes with us. The reasons for the changes have to do with the effect of our presence in Ybor City. As we have grown in how many people we serve, Ybor has not appreciated the visibility of homeless people centered around our block, both during and outside of our hours of operation. The increase in trash, urinating, and defecation hasn't helped either, but the biggest issue is visibility, hanging out, and sleeping in front of the hub and other buildings on 7th Avenue, the front door of Ybor City. As our work of hospitality makes our block less hospitably to business, we are wearing out our welcome. So we find ourselves in the strange position of asking our guests not to hang out in front of the building, or any other building on our block, to help keep us from getting shut down altogether. We ask them to go away because they're homeless and needy, and because we know that the world at large does not take kindly to their presence. What's weird is that this is also why we welcome them to come inside and make themselves at home. Our reason for welcoming our guests into this makeshift home of ours also means that we have to shoo them away from anywhere just outside our walls. I'm sure it's all reasonable and understandable, at least until you're the one who gets to go tell everyone to disappear, and then hours later welcome them as you would welcome Christ, and then a few hours later, get rid of them again. It reminds me of a bar closing, when they shout out, "You don't have to go home, but you can't stay here!" It's a good way to get rid of people at the end of the night, but it's not good enough when the people have no home to go home to. God only knows what sense this makes, because it's never been clear to me. And it's made me mad. Sometimes I get mad at the city for caring about the unsightliness of people without caring about the people themselves. Sometimes I get mad at our guests for not trying harder or being more considerate. But this morning, when Thibodeaux caught me off guard with a sudden laugh, I found myself smiling and letting out an honest chuckle, even if I tried to hide it. Because right now, when I most want to lash out in anger or in tears, the most sane thing to do may just be to laugh instead. Thibodeaux knew it all along, that laughing is sometimes better than crying, so we just laugh...and then carry on. If we do not laugh at ourselves, and allow others to laugh at and with us, we tend to worship ourselves. At times we all take ourselves too seriously, forgetting to laugh at the mirror and refusing to let others see us as we are, as little children toddling toward the Kingdom.